Quechee State Park features Vermont’s deepest gorge (the Quechee Gorge), formed by glacial activity about 13,000 years ago. It’s also close to many “upper-valley” attractions. Quechee State Park Campground 52 campsites (including 7 lean-to sites), drinking water, flush toilets, hot showers ($) and a sanitary dump station. There are no hookups, but each campsite has a table, fire ring and grate. There’s also a large sports field and play area, picnic area, volleyball court, horseshoes, hiking and biking trails. The Ottauquechee River (in the gorge) and nearby mill pond offer some nice fishing too. Coolidge State Park is is 21 miles west and has 62 campsites for tents, trailers and Rvs. 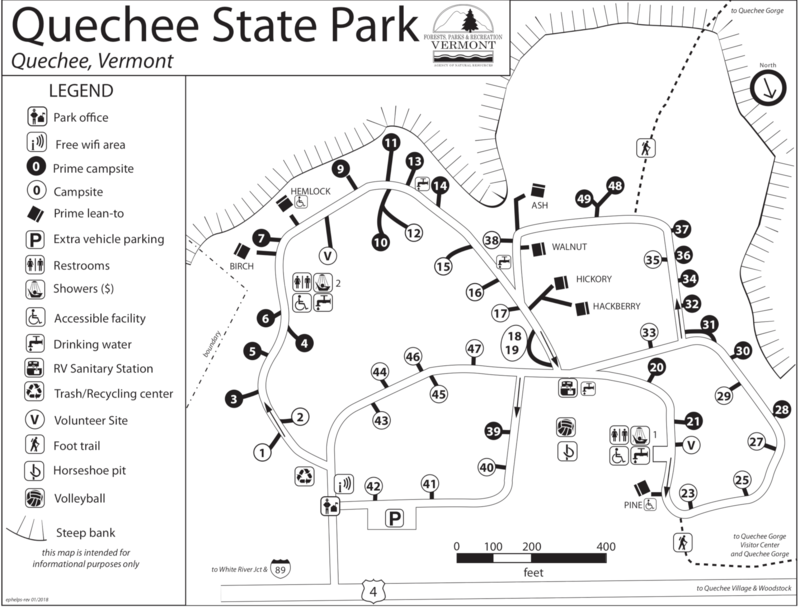 Visted Quechee State Park Campground lately? We'd love to hear about your adventure. Did you find us useful? Did we forget something? 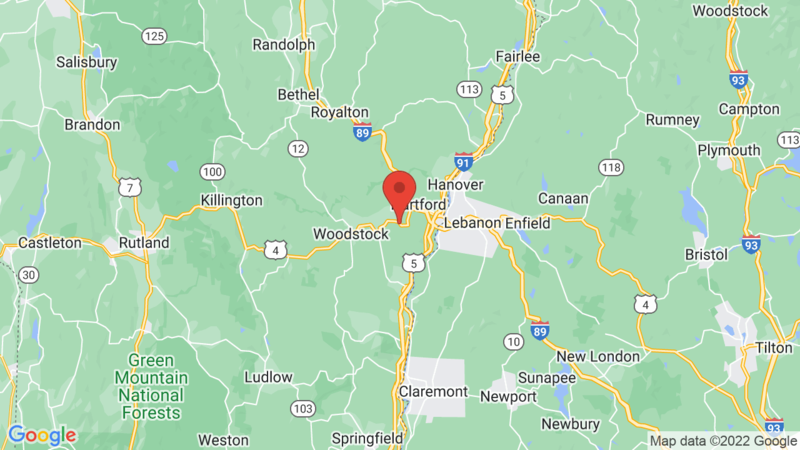 Anything our community should know before heading out to Quechee State Park?